The charming Griffith House Bed and Breakfast is run by the Family since 1981 and approved by the Irish Tourist Board for guest accommodation since 1994. 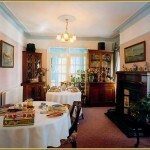 It offers comfortable Single and Twin shared bathroom rooms and cosy ensuite Double and Triple rooms. The guests of the Griffith House Bed and Breakfast can relax and chill out in the nice and quiet private garden of the family. At every morning you can enjoy and taste the full Irish Breakfast. Sightseeing is what everyone like to do and all these amazing things are within walking distance of the Griffith House Bed and Breakfast: Croke Park, is an historic stadium and has been at the heart of Irish sporting and cultural life for over 100 years, where you can visit the GAA Museum with its new exhibition galleries that pictorially show the story of Gaelic games from ancient times to the present day and the Etihad Skyline Tour, where you can enjoy the best views of Dublin from the roof of the iconic Croke Park Stadium or the Marino Casino to have an amusing night. The Bram Stroker museum is a must for all the movie lovers and the Clontarf Golf Club is for all the golf fans or beginner, who want to play like Rory McIlroy. The Griffith House Bed and Breakfast in Dublin 9 is located on Griffith Avenue in Drumcondra, which is 15 minutes by bus from Dublin Airport. And only 10 minutes by bus from the city centre. 10-minute drive from Dublin port. Easy access to M50 (Dublin’s ring road, not need to drive through city centre when leaving or returning to Dublin). 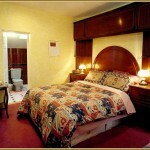 The Griffith House Bed and Breakfast is located midway between Dublin airport and City Centre. Bus to City Centre every 7 minutes from Monday to Sunday and Bank holidays. Buses from the airport 41,41B&16A.